Tyndale House Publishers, 9781414359489, 348pp. Near the end of the Civil War, inhumane conditions at Andersonville Prison caused the deaths of 13,000 Union soldiers in only one year. 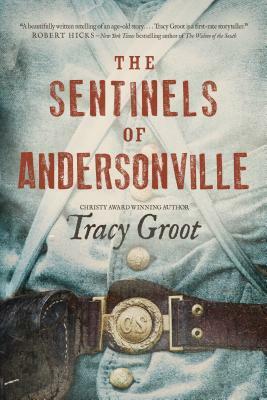 In this gripping and affecting novel, three young Confederates and an entire town come face-to-face with the prison's atrocities and will learn the cost of compassion, when withheld and when given. Sentry Dance Pickett has watched, helpless, for months as conditions in the camp worsen by the day. He knows any mercy will be seen as treason. Southern belle Violet Stiles cannot believe the good folk of Americus would knowingly condone such barbarism, despite the losses they've suffered. When her goodwill campaign stirs up accusations of Union sympathies and endangers her family, however, she realizes she must tread carefully. Confederate corporal Emery Jones didn't expect to find camaraderie with the Union prisoner he escorted to Andersonville. But the soldier's wit and integrity strike a chord in Emery. How could this man be an enemy? Emery vows that their unlikely friendship will survive the war--little knowing what that promise will cost him. As these three young Rebels cross paths, Emery leads Dance and Violet to a daring act that could hang them for treason. Wrestling with God's harsh truth, they must decide, once and for all, Who is my neighbor?